Victorian big bream Mecca Mallacoota plays host to the 2nd stop of the 2014 13 Fishing BREAM Series, 17/18th May. 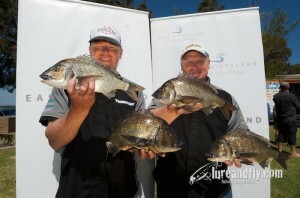 One of the premier tournament venues in Australia, Coota (as it’s known) will be on the hit list for Australia’s best breamers as they battle for valueable Angler of the Year points and a spot in the 13 Fishing BREAM Grand Final in November. 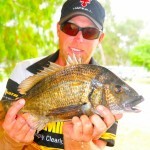 At the forefront of anglers mind will be the expected hot fishing, and the big bream that roam Coota’s waters come autumn. Last year’s Mallacoota round winner Jordan Trusty is one such angler who’s looking to pick up where he left off last year. 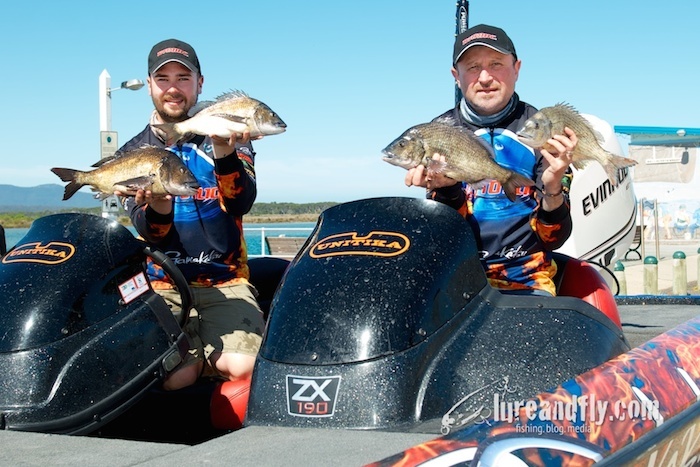 “We’re at Mallacoota later then we were last year so this should see us get a different bite. The fish will have started to come together and will be looking to move up the system. 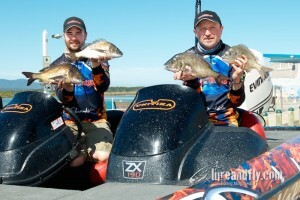 The big fish will be there, they just might a bit more finicky,” explains Trusty. 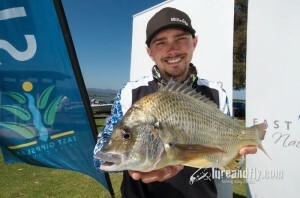 With the summer pattern of last year’s BREAM Classic Championship at Coota well and truly behind us anglers will be expecting the bite to be somewhat different than it was on Melbourne Cup Day 2013, and the victor from last year’s Classic event Paul Malov is certainly expecting things to be different. 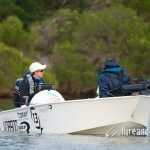 “With the forecast for light winds and still conditions I think it’s going to be a grind to get fish. The recent rain should see the water level a little higher, so I’ll be focusing on this and the dirtier water to catch my fish,” explains an optimistic Malov. 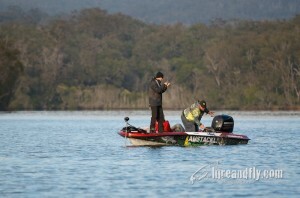 The second of four qualifying rounds Coota will see the Angler of the Year points start to take shape. 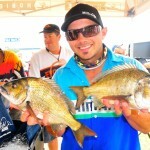 The angler who stamped his authority on last year’s AOY race, Warren Carter, is open minded about what’s in store. 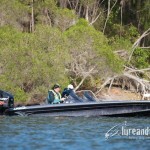 “It all depends on the conditions on how the place will fish. This time of year there’s fish shallow and deep, as to which one will really fires depends on the weather. 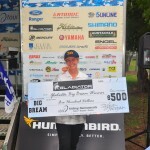 If there’s a bit of wind about it’ll help throw the event wide open and there’s a real chance that an out-of-towner, or non-black bream specialist could win,” explains Carter. With a talented field signed up to fish the event, pin-pointing a short list of anglers to feature in the results is a challenging task. 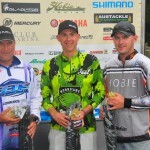 On previous form Cam Whittam, Jarrod Healey, Brad Hodges, Steve Parker, and of course Chris Wright would all be expected to do well, while the likelihood of a first time winner storming through to claim the win is a real possibility. A tournament venue that throws up plenty of big bags the question is how much weight will it take to win. Cam Whittam gives his take on the magic number. On the non-boater front last year’s AOY champ Brad Roberts is a name that’s hard to go past, finishing 5th at Coota last year, and ultimately claiming the 2014 AOY title. “I had slow first event at Sydney this year so I’m keen to get a positive result at Coota. I’ve done well there in the past, so I’m hoping my good form will continue this year,” explains Roberts. Spotters sunglasses headlines the event as event naming sponsor and is packed and ready to hit the road and show off their new products to anglers at the event. 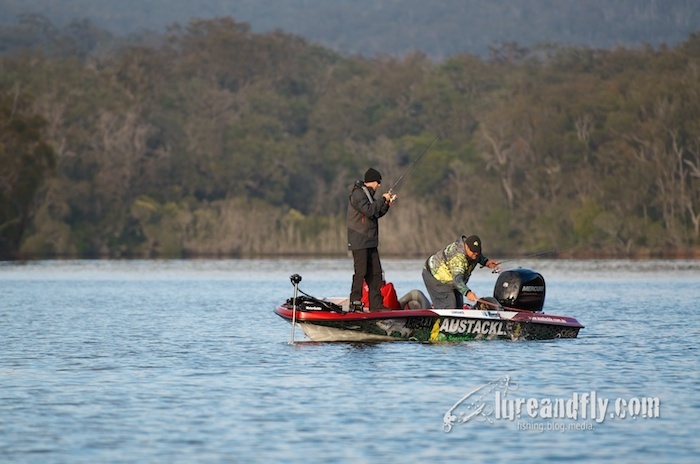 “Mallacoota is a fantastic fishery, and we can’t wait to see the fishing that’s on offer, and get a chance to showcase our glasses to the ABT guys,” explains Spotters’ Adrian Lindsay. With an on-ground display at the weigh-in each day anglers and tournament fans will be able to see and try on the latest models Spotters has to offer. For a review of the 2013 Sunline Mallacoota BREAM Qualifier click here, while for the results and story from the 2013 BREAM Classic Championship click here. 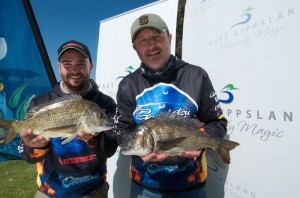 Click here for the link through to the livestream page for the weigh-in each day (2pm Saturday and Sunday) of the event, and make sure to visit www.abt.org.au for all the results, pics and story.